Tabletop Simulator on Sale at the Humble Store! 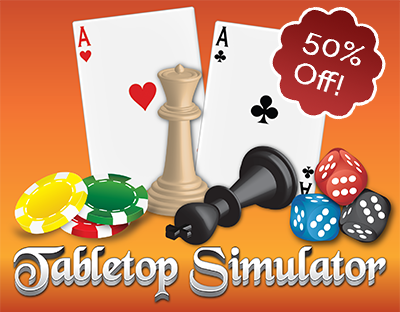 If you missed out in previous sales, Tabletop Simulator is currently 50% off at the Humble Store! You can also purchase these through the widgets below, which also includes the 4-pack! And remember, a portion of your purchase also goes to charity. Sale ends May 19th at 10am PST!